February 2018 update: As mass transit talks slow, will Wayne, Washtenaw counties go it alone? The new year is bringing a renewed push to bring mass transit to southeast Michigan, following decades of disagreement that’s left the region with the worst public transportation system in the nation. This month, elected leaders of Wayne, Oakland, Macomb counties and Detroit are expected to jointly announce recommendations that could result in a new plan for regional transit. Among other proposals, local leaders want government officials to serve on the ten-member Regional Transit Authority of Southeast Michigan board and ensure that only communities served by the system would pay taxes for it, Bridge Magazine has learned. The changes would require approval from the Legislature, but proponents say they still hope to place a tax request for the improvements on the November ballot. The announcement, planned on or around Jan. 19, comes 14 months after voters rejected a $3 billion, 20-year tax for buses and trains. The breakthrough comes amid renewed concern about the importance of transit caused by the region’s public bid for Amazon’s $5 billion second headquarters. The Seattle-based internet giant has said access to public transit will be a priority in determining where to build a second headquarters. “The good news for the people who want to see a transportation system in southeast Michigan is we are making progress – significant progress,” said Oakland County Executive L. Brooks Patterson, who didn’t publicly support the 2016 regional transit plan. Elected officials from the three counties and Detroit have met for several months about changes they want on the authority before they support a new transit ballot proposal. The chair of the Washtenaw County Commission also has been part the discussions since May 2017. The RTA board is aware of the discussions and is optimistic elected leaders will help craft a new transit plan their residents will vote to approve, said Paul Hillegonds, chairman of its board. The decades-long battle over regional transit in southeast Michigan took on new importance when Detroit-area leaders last year crafted a bid in hopes of persuading Amazon to build its second headquarters in the area. Paul Hillegonds, chair of the Regional Transit Authority of Southeast Michigan board, says he’s optimistic the region’s leaders will support a new transit tax proposal this year. In fact, metro Detroit wants the Amazon headquarters - and the 50,000 jobs and $5 billion in local investments it will bring - more than any of the other cities making bids, a recent survey suggests. The city offered Amazon 30 years in tax incentives, according to a bid submitted to Amazon in October by a Detroit committee led by businessman Dan Gilbert. Detroit’s Amazon bid cites plans by the SMART suburban bus line to add new express bus service on three major routes between suburbs and the city. And more services would be added within a year if Amazon moves to the region, according to the bid. “Aware of how growth can lead to congestion, and committed to providing alternatives to people who don’t have a car or don’t want a car, regional leaders have initiated a series of investments in transit that are addressing existing shortcomings,” the bid proposal reads. Southeast Michigan is the nation’s only metro area without rapid regional transit, according to Gov. Rick Snyder. The RTA’s transit plan from 2016 claims that an improved mass transit would lead to $6 billion in regional economic growth. “We still have tremendous needs for transit. They (elected officials) need to stop squabbling over power and provide people with the transit they need,” said Megan Owens, executive director for Transportation Riders United advocacy group, which supported the 2016 RTA proposal. Owens said she is concerned the leaders have met in private, but is optimistic. 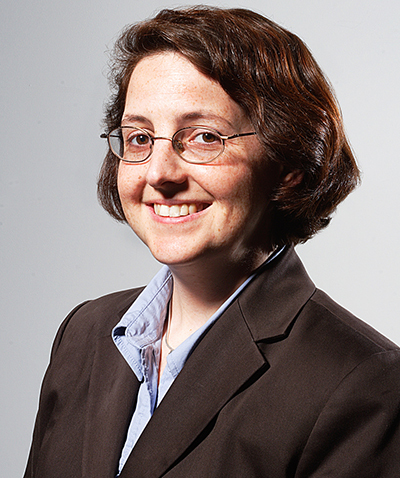 Megan Owens, executive director of Transportation Riders United, is concerned that elected officials have met in private to hatch a plan to improve mass transit in southeast Michigan. Last month, Tranese Franklin, 41, of Detroit stood at the bus stop at the abandoned Northland Mall in Southfield, one of the proposed sites for a new Amazon headquarters. She said her commute is proof that workers in the region need more and better transit. It takes Franklin an hour and 45 minutes and three buses to travel less than 15 miles from her home in Detroit to work in Birmingham. The state Legislature created the RTA in 2012 to coordinate regional public transportation in hopes of reviving the economy and attracting jobs to the region. Currently, the three county executives and chair of the Washtenaw county commissioners each appoint two board members, and the Detroit mayor makes one appointment. The governor appoints a non-voting board member. By law, local county and city employees or elected officials are not allowed to serve on the RTA board. The current structure has been the topic of discussion because elected leaders want more say on the RTA board. Andy LaBarre, chair of the Washtenaw County Board of Commissioners, explained the two sides of the debate. The RTA’s master plan proposed joining bus systems in southeast Michigan by connecting Detroit’s city bus service and SMART suburban bus line to Ann Arbor’s transit service; and, eventually linking to the QLINE streetcar that opened last year on Woodward Avenue in Detroit. A 2016 tax to pay for the vision revealed stark divides within the region: 53 percent of non-Detroit Wayne County residents opposed it, while 64 percent of Detroiters favored the measure. Overall, the 1.2-mill tax lost by the narrowest of margins: 1 percent or about 18,000 out of 1.7 million votes. Lee Howard, 25, of Detroit, predicts another transit ballot measure would fail. 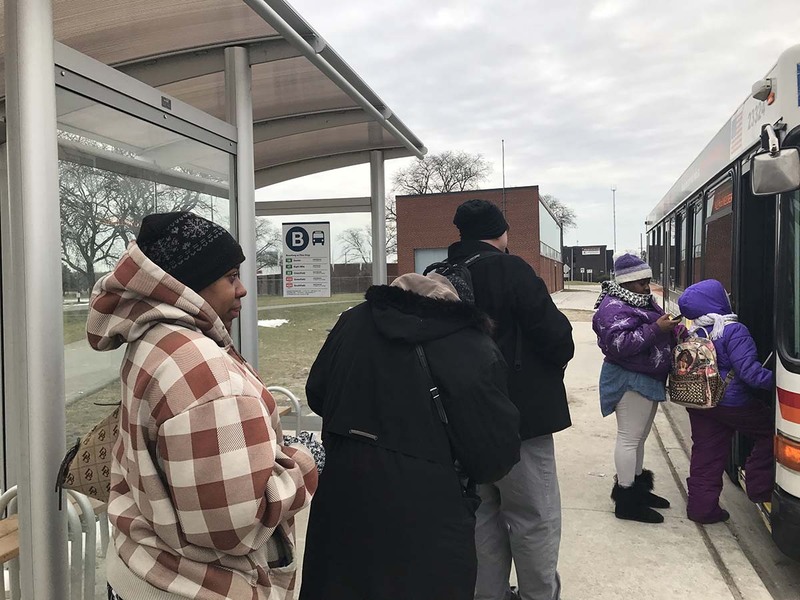 Last month, Howard’s Detroit bus showed up late and made him miss a connecting SMART bus at Northland Mall, so he had to wait more than 30 minutes in freezing temperatures for the next bus. He ticked off a list of reasons a taxpayer such as himself won’t vote for it: the city’s bribery scandals and bankruptcy make people loathe to trust the money will be spent wisely; and there’s no guarantee more money will improve the system’s bad reputation. Transit advocates hope elected officials will help persuade voters like Howard to support a mass transit tax. Khalil Rahal, director of economic development in Wayne County, said elected leaders have finally found long-sought regional consensus that could bring along the rest of the region. “We’ve made progress around a plan we think the whole region can support. I think we all agree it’s too important to wait to 2020, and we need to strive for 2018,” he wrote to Bridge in an email. 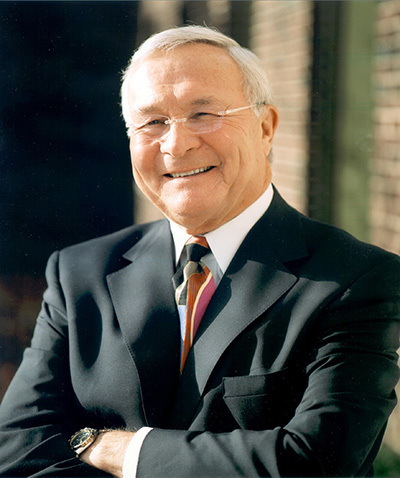 Oakland County Executive L. Brooks Patterson says elected leaders have made “significant progress” on governance changes to the RTA. Detroit city officials declined to talk in detail about changes sought by Mayor Mike Duggan. 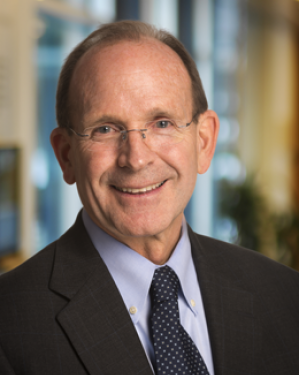 Dave Massaron, chief operating officer for the City of Detroit, would only say, “the mayor and county leaders continue to have productive discussions about regional transit and a plan that the whole region can support. “Some of the components being considered would require legislative changes. The city remains committed to working to having a regional transit plan on the ballot in November of 2018 that voters can support, as well,” he said in an emailed statement. Macomb County officials also wouldn’t detail their proposals, but said the talks are constructive. “The thing that’s been so beneficial about these conversations is they’re honest, practical and community driven,” said John Paul Rea, Macomb County’s director of planning and economic development. County leaders also may ask the Legislature to change the boundaries of the RTA to make a tax increase more palpable to voters. After the 2016 tax was defeated, transit officials learned many “no” votes came from those in communities that wouldn’t be reached by buses. Sixty percent of voters in Macomb County opposed the tax, while about half were opposed in Oakland County. Hillegonds, the RTA’s chairman, said redrawing the boundaries might make sense for now. “Comprehensive transportation in all four counties down the road probably makes a lot of sense, but we may have to be more incremental,” Hillegonds said. Redrawing the boundaries to exclude outlying communities would reduce the number of taxpayers paying into the system, which likely would mean increasing the tax request from 1.2 mills that was sought in 2016. The RTA needs as much time as possible to educate the public about the benefits of the new regional transit plan to maximize chances a November ballot initiative will pass, said Elisabeth Gerber, one of two Washtenaw County representatives on the RTA board. “There’s a lot that has to happen in order for 2018 to be our moment,” Gerber said. Why can't mass transit be funded by those who use it? Mass transit can be as small as three people sharing the cost to carpool to work, or have 40 people paying to ride a bus from downtown Detroit to the airport, but the fare for that ride should take into account the purchase and operation of the bus, the driver, and any fees or tolls along the way. The private bus companies seem to operate just fine with this model. With a regional tax, let's call it what it is. Those that want the service but don't want to pay for it. There is too much use of OPM (other people's money). Mass transit isn't as small as 3 people carpooling, that's why it's called "mass" transit. Virtually all the transit systems in the USA and Canada are subsidized. A transit system based solely on fare collection would not work unless EVERYONE takes it and pays for it. Roads are just as equally subsidized, if not more so. What private bus companies? Greyhound? And they charge $50+ for round-trip rides, depending on where you're going. So every trip on SMART, DDOT, or AAATA has to be what, $20? $30? $40? a ride? So now people who live in cities or can't drive or who wish not to drive have to be rich just to take the bus or rail? Have you done the math on how much everyone would have to shell out for one trip in order to pay for the bus, the driver's paycheck, and the bus maintenance? When the point of these systems is get people to jobs and other centers of life. There is no such thing as OPM, it's called taxes and collectively we build and sustain a transit system this region so desperately needs so that we can compete in the 21st century. Why can't _______ be funded by those who use it? You can insert a lot of things in that blank that are funded by OPM (other people's money) or as the state calls it: TAXES. From sports stadiums, primary schools, state colleges, libraries, Medicaid, the DIA, the Detroit Zoo, bridges, roads, highways and tax breaks for billionaires so they can build skyscrapers, a lot of things are paid for by the taxes of people who will never use them. Does that make them any less important or needed? Just because you don't use something, doesn't mean its not important to someone else. Rich, let me know when drivers cover the cost of using the roads. The difference you refuse to see is that everyone uses the roads whether they, drive a car, ride a bike, a bus or consume anything that used the roads to get it to them. Very few members of any community actually ride the bus or mass transit means, so if you want to subsidize our cars, I'm sure many will be open to subsidize your bus ticket. I do subsidize your car. Buses and bicycles don't use the interstate at all, but maintaining them is most of the road budget. Stop the use of enormous/empty NEW buses in suburbia. Rarely do I see more than one or two passenger, at most. We are paying for gas/driver/maintenance w/o benefit, ergo a NO vote makes sense. The smaller/flexible commuters, still quite empty, at least lower costs. Prove to the public that new ideas are in play, including no community-opt-outs! Your anecdotal evidence means little. I took the FAST bus to the airport and it was great experience. I am happy we have joined most major cities, where you could always take public transportation to thier airports. I hope the tax passes and can move all of our transportation to 21st century. BTW every adult in my house has a car and I still want up to date metro public transportation! The city of Detroit received that grant after being cut off from federal funding since 2013. DDOT, under new leadership, increased its service and regained access to the grant money. SMART and DDOT are two separate systems that are separately funded. My son worked for Amazon in Seattle (until his untimely death in 2010). Despite physical disabilities, he rode Seattle buses to work every day. Seattle area has been growing rapidly, and its voters keep providing more tax funding for better and "greener" public transportation. Why? Because public transportation is more convenient for many people than overcrowded expressways and tight parking. Not everybody uses public transportation in Seattle, but everybody benefits from it. Without it, Seattle would be choked with congestion. The growth and the prosperity would have died out, just as it has died out in Detroit. Transit *does* pay for itself: not through fares, but by the benefits it brings to the communities it serves. There are no prosperous, thriving cities in the world without public transportation. Let's not allow Southeast Michigan to remain out in the cold! How's that $85 million dollar parking deck/train station built on parkland you advocate for going to help meet those needs? Re-draw the boundaries in an attempt to gain a winning margin, while those who oppose it from inside the gerrymandered voting area will pay a higher mil rate? Classic liberal gaming of the system for self-gain. Crooked politics is why we can't have nice things. I am constantly amazed at the ignorance of elected officials who try to design a new wheel instead of looking at other third world countries where wheels are commonly in use. I spend my winters in a country the size of Michigan, or smaller, where I do not have a private vehicle for six months. Since I am a resident and retired I ride local buses free. I pay for this service with my monthly single-payer universal healthcare insurance premiums of $80 a month. My healthcare is the fourth best in the world, far ahead of the USA. I have no idea how this system is funded or governed and couldn't care less. The fact is that it works and any elected official could get the information free. Get er done! Now retired, I wonder in which country you reside for those 6 months. There isn't enough perfume on the planet that RTA-tax supporters can pour on this pig to make it acceptable. Oh sure, those wanting higher taxes to support other people's hobbies will smile for the media and make optimistic projections on their "success". Those same people also made the same prognostications the last time. And just like last time they will fail. So the millions of people across the US that take transit every day are just hobbyists? I guess subsidized roads for drivers means we're subsidizing their hobbies to. First off, this is Michigan we're talking about here. What the rest of the country does isn't germane to the conversation, unless you want to cite that fact that the mass transit model being utilized across America isn't self sustaining (which will suit me just fine). Second, obviously you don't personally drive yourself around, or else you'd realize that you're only regurgitating speaking points. Those of us who do drive ourselves around got socked with a spike in vehicle registration fees and a hike in the gas tax (on top of the tax we currently pay) just last year alone. Those monies collected are supposed to go towards road maintenance. Unfortunately a percentage gets skimmed off of the top to prop up the various mass transit systems around the state. This is in addition to the sales tax we pay at the pump which also doesn't go towards roads. Put those monies back where they belonged in the first place, and Michigan Roads would be in far better shape. So, nice try on that speaking point. Third, the hobbyists that I'm specifically referring to are the likes of Paul Hillegonds, Donald Morandini, John Swatosh, Chuck Moss, Tim Soave, Elisabeth Gerber, and who can forget Alma Wheeler Smith. You might recognize the names. They have spent most, if not all, of their entire careers in either the public sector or academia subsisting off of the labor of others. They have never had to produce anything that was viable and/or self-sustaining. In the real world, they wouldn't last five minutes without needing to take something from someone else (or have the government do it for them), which appears to be the paradigm they are apparently aiming for in the fall. It doesn't matter who goes to bat for a regional transit tax, I'm still voting NO. The money to operate the system should come from the users, not everybody who lives here. Why is it that 'no' votes on tax increases--regardless of the purpose for them--are ALWAYS attributed to a lack of education? Do proponents of mass transit really think it's impossible for people to be aware of costs, benefits and detriments of mass transit systems and still not want to pay the cost of having them because they have higher priorities for their dollars? How is changing the RTA boundaries going to make a tax increase more palpable, and why would proponents want that? It seems the existing high degree of palpability contributed greatly to the downfall of the vote in the first place. The RTA's first choice of a CEO with a well-documented record of prior wasteful habits didn't do a great deal to gain a sense of trust from the taxpayers that their dollars woud be wisely spent, either. People will vote for public funding if they think they're getting efficient delivery of the service for which they vote the taxes. The history of mass transit in southeast Michigan leaves scant reason for optimism toward that end. Among other things, instead of hiring people who know how to implement and operate mass transit systems, the jobs always seem to pay $12K-$20K per month to politically connected folks who then travel the world to multiple conferences in order to learn how to do what their lofty salaries indicate they should already know. That is followed by huge consulting contracts to other politically connected people who DO know-- some of the time, anyway. I'd vote for a tax for mass transit, but not the system the RTA proposes, and certainly not one run by the type of people they hire. All sounds so familiar! The GRATA promised all these wondrous goodies almost verbatim, yet end up with puking gushers of red ink as they run their empty buses around town all hours of the day. If the community wants to help the poor get to work during non rush hours, buy them an Uber coupon! And Uber / Lyft provides doorstep to doorstep service at a far cheaper cost. Like virtually all school millage ballot proposals that fail on the first attempt, the defeat of the 2016 regional tax increase to fund a mass transit plan put forth by an ineffective government public transportation entity was simply the opening scene. Following the script, the RTA is back at it, building buzz like prom night is approaching. What has the RTA accomplished to improve public transit in this region in the past year? Sharpened its pencils to ask for more tax funding. Like knowingly pumping air into a leaking tire, the RTA and its backers refuse to first focus on achieving incremental, tangible accomplishments using existing funding to state their case. Instead, as in the movie Finding Nemo, they want Dory-like voters to be distracted by the new shiny thing over there. Opposition to this must be first based on performance. That southeast Michigan has a poor to embarrassing public transportation system is not the fault of voters. Our lousy public transit is squarely the responsibility of the RTA, SMART, and the amalgam of acronym public transportation entities in this region over the decades that have done a terrible operational job, amplified by miserable marketing and a dereliction to properly manage the resources with which they have been entrusted. Their excuse, or reasoning, is simple. They don't have enough money to spend. Nonsense. Rewarding the same people who operate the current system and their lack of accomplishment is, well, nuts. Beyond giving more tax resources to those who accomplish little, the issue is whether the RTA offers a detailed plan, with costs, timetables, targets, measurables, marketing, and objective research to back it up. The RTA's promise-laden overreach in 2016 was the fundamental cause of its first defeat. It sure wasn't money. According to Crain's, the RTA and its allies spent $6 million to push for approval; opponents about $60,000. Yet the measure failed by about 18,000 votes. The RTA narrowing the geographic reach of their next grab, pushing the tax increase in those areas currently "served" by the existing system is a simple (and smart) means of knocking down that 18,000-vote deficit. That also results in fewer taxpayers burdened with a larger share of a massive increase in funding for a public transportation system with an exceptionally poor record of performance and community visibility. Reconfiguring the RTA board in a canard. The RTA's sole interest seems to be gearing up to pitch tax increases to cement its place in the government landscape. And, now we have the Amazon headquarters recruitment dangled as demanding this of taxpayers. "Vote against this and you'll torpedo our Amazon bid, and we'll always be an also-ran when the next Amazon comes knocking," they'll say. As if. The Bridge article states, "Detroit’s Amazon bid cites plans by the SMART suburban bus line to add new express bus service on three major routes between suburbs and the city." Stop the presses! Three new express bus routes? That surely knocked the socks off Amazon and vaulted Detroit into the top tier of contenders. Adding new express routes on a pilot project basis could have and should have been pulled off by SMART years ago. This again speaks to the lack of vision and poor stewardship by those at the helm of SMART and the RTA. The stockade protecting taxpayer wallets from the RTA is thin, manned by Oakland County Executive L. Brooks Patterson and Macomb County Executive Mark Hackel. Forget Detroit and Wayne County leadership. Their bumbling records make the RTA look like a pennant contender. L. Brooks and Hackel might let down their guards if the RTA board is reconfigured to their liking, which will mean nothing after the RTA gets its bigger piece of the regional millage pie. The Michigan Taxpayers Alliance, which helped to derail the 2016 proposal, is the reserve force and last line of defense - if it gets involved again. Taxpayers should firmly, proudly, and unapologetically demand better from their tax-funded institutions. Tax increases should be approved on undeniable, transparent accomplishment; not on track records of failure. Reading many of these comments is so very disheartening. Almost as much as the article itself. Amazon is not looking for a cobbled together bus system. They are looking for "mass transit". The kind with rail, from all major population centers to the major business centers. The kind of thing that everyone knows we are more than a century behind in developing. The small minded, segregationist, none of mine for anyone else mentality espoused by several commentators has held sway here for at least a century. Until we end that sort of neanderthal level stupidity, enter the 21st century and actually do the things necessary to lift the common experience, we will never attract Amazon or any other major global business, as we remain a 17th Century Feudal state unfit for a 21st Century Global Competitor. And that is exactly why mass transit will never work in Detroit. " The kind with rail, from all major population centers to the major business centers". In other metro areas, a system will work as the spokes of a wheel where the major business center is at the center, and the population centers are the suburbs along the wheel. Detroit is neither a major business center nor a major source of workers. The routes of workers to their jobs are too random to have any significant demand for mass transit, as most of the workplaces are located on the wheel rather than at the hub. Didn't SMART get a doubling of it's tax revenue in the not too distant past???? Yet Still has not restored financial cuts imposed on its employees. Now More taxes are needed??? ?